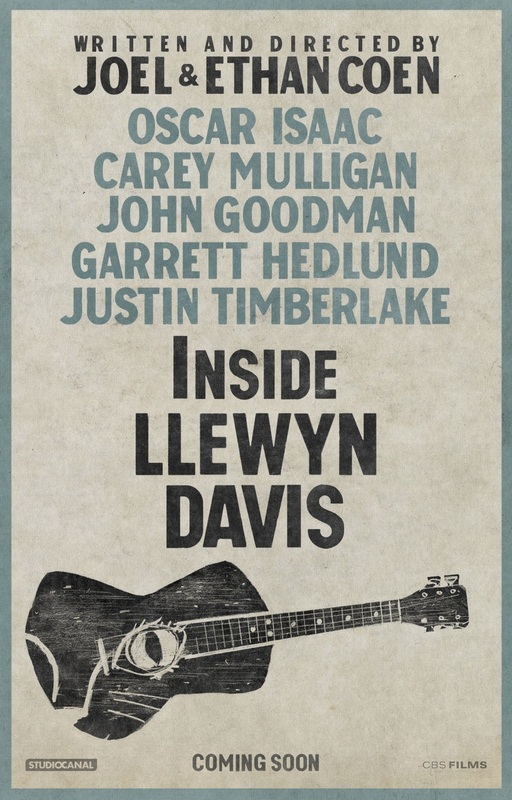 Llewyn Davis (Oscar Isaac) is a folk singer struggling to keep his career on the line in the 1960s. After crashing the night at a friends house after a successful gig, he leaves the next morning only to accidentally lock the cat out. His friend Jean (Carey Mulligan) takes him in for a few days, but soon kicks him out due to her pregnancy complicating matters with her partner; she can't tell if the baby is Llewyn's or Jim's (Justin Timberlake). Soon accompanied by more and more people offering to help his career but seemingly going in circles, Llewyn only has a few shots left at making it big. It's a shame, really, that this film has gone by relatively unnoticed. The Coen brothers are known for making award friendly, critically acclaimed films, and Inside Llewyn Davis has the acclaim to accompany it, but it is rather lacking in the awards department. And, for the life of me, I just cannot work out why. This has the makings to be one of those films that gets flooded with nominations and doesn't take away any trophies, sure, but nominations are nice, right? But, for what it's worth, Inside Llewyn Davis is a surprisingly affecting film. To look at, Inside Llewyn Davis is beautiful. The frame almost constantly filled with dark greys and pale browns, you could quite easily forget you're watching this film in colour. This use of colour, though, is powerfully effective; acting as a metaphor for both Llewyn's apparently bleak life, and the bleak efforts of his career thus far. This grey, almost monochromatic, feel powers through the film and the Coen brothers have yet again produced a visually masterful film. One of only two of it's Oscar nominations, the cinematography is undeniably impressive. Tight angled and narrow corridors dominate the film, and really tighten the frame for the vast majority of the running time. It really works. Yet again unsurprisingly, Inside Llewyn Davis is also very well written. Titular character Llewyn Davis is simultaneously likeable and detestable due to the Coens' script, and reinforced by Isaac's smart acting. Whereas we sympathise with Davis in respect to his failing career and miserable lifestyle, we also understand why and come to dislike, perhaps even loathe, his personality. He is, after all, a bleak, miserable, wannabe folk singer who is followed by failure everywhere he goes. But, thankfully, the Coens' script adds small, and incredibly necessary, bursts of humour. Not only does this keep the film itself on its feet, but it manages to just about keep Davis on the good side of likeable. A near two hour film with an unlike-able lead character would not be a fun experience, after all. Where this film truly excels, though, is its use of music. Not quite a musical, but definitely featuring more diegetic music than most other films of its sort, the Coens manage to hit the balance between music and dialogue seamlessly. Opening with a beautifully performed rendition of "Hang Me, Oh Hang Me", Isaac's vocals are on point throughout, supported by more welcome singing from Timberlake and Mulligan; all performed live, Les Misérables style. The soundtrack in general is exquisite, and something I myself will be purchasing some time soon. I can forgive the lack of a Best Original Score nomination due to the presence of numerous covers, but "Please Mr Kennedy" not up for Best Original Song? That's just ridiculous. In essence, Inside Llewyn Davis is an odd film. Visually and aesthetically it is a numbingly bleak film, but it is empowered by such raw emotion and a powerful story that you almost don't notice this. Given, there are a few dull stretches, and there middle hour is far less captivating than the opening and closing twenty minutes, but for the most part, Inside Llewyn Davis is simply an enjoyable film, crafted by film makers with sheer, raw talent. It may be lacking the award count you'd expect from a film of this style and level, but just go with it; Inside Llewyn Davis is a journey. To Summarise: Despite its intentionally (and effective) bleak visual style, Inside Llewyn Davis is a showcase of strong emotion and clever character development, with an incredible performance from Oscar Isaac.